Check out the baby angel on the right. Pulling a Dr. Evil. 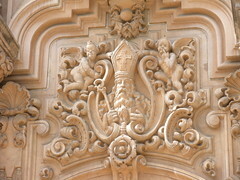 I loved this molding….one of many in Balboa Park. I don’t know the correct term for these, so forgive my ignorance. I loved this one.